This Japanese naval dirk is one of the nicest I have ever owned. The mounts are in excellent condition and the traditionally made blade is in almost full polish. 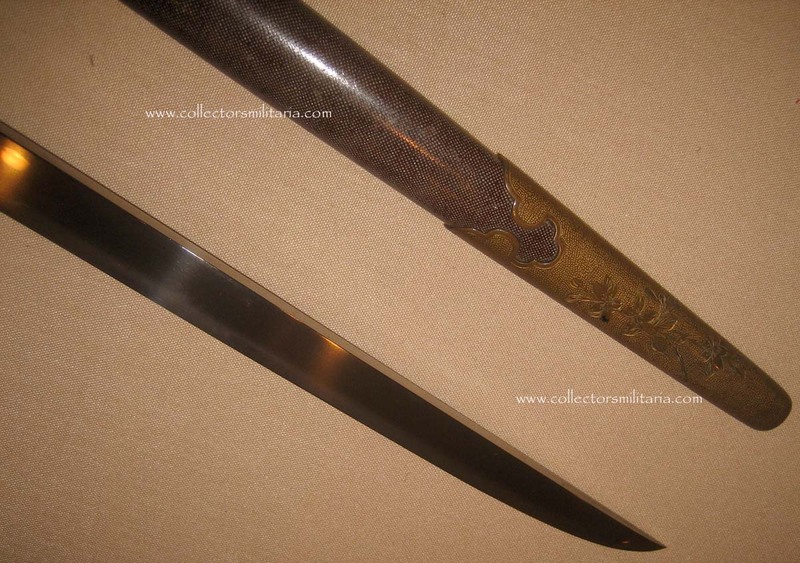 The hamon is a bright gunome and the hada is clear and tight. If you were going to own one example of these for you collection this one would be it!